Phase two kicked off this week in the VPCCL as the 24 teams were split into 2 divisions based on their placings in the group stages. Division one kicked off over the first couple of days with Friends and Regents meeting for a second consecutive week. Opting to bat first, Regents were bowled out just shy of their 16 overs, for 90. David Campbell (35) continuing his good form. Ajmal Afzal looked ruthless with the ball taking an impressive 4-10. Friend’s lost an early wicket but Mulin Arefin (48) and Sharook (16) led them to victory with several overs to spare. Sky also looked impressive against Best Nationals. Debutant Hodane Bryce (52), and brothers Aleem (50) and Noz Hussain (43) were in superb form helping Sky to a whopping 202-2. Suraj (29) and Firoz Hussain (15) looked in good nick but were unable to stop the slide as Best Nationals were bowled out for 71. Mile Tailenders pushed Rose & Crown all the way in a narrow defeat on pitch 3. The Tailenders finished their allotted overs on 135-3, Sanjar Gunewardene (54) starring with the bat. Patrick Hegarty hit a sublime 52 and some great smashing from Nag Mangalagiri (27) helped the defending champions to victory with eleven balls to spare in what felt like a closer match. Tuesday saw a confident display by London Tigers as they saw off Bansko Bears. Bansko were bowled out for 86 in the final over. Salter (25) and Tate (16) top scoring. The Tigers had a few jittery moments with some fine catches from Bankso before winning in 12.1 overs, Rikter Khan (24), Jamil Ahmed (14) and Rashal Ahmed (14) top scoring. Meanwhile Millwall maintained their fine start by defeating Old Fallopians 1st XII. Farhad Waqar starred with the bat hitting 45 for OF as they were bowled out for 111. Arif Ahmed (49) alongside Salman (45) helped Millwall to a comfortable victory as they finished on 113-1 in 13.1 overs. 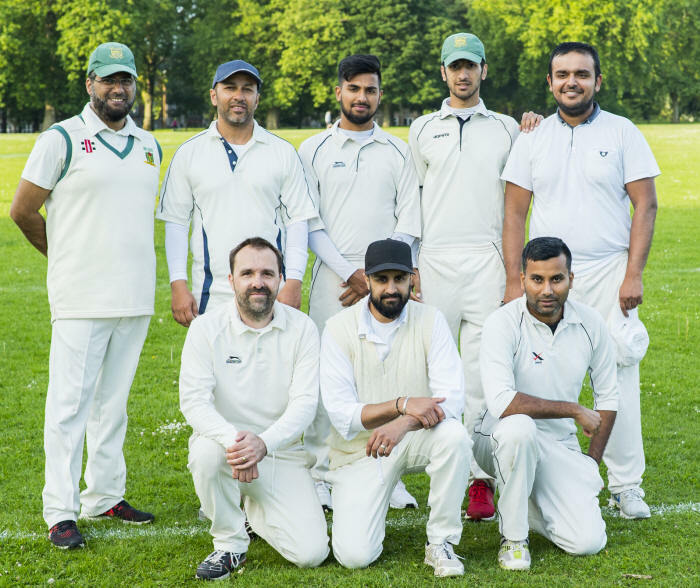 Stokey Scoundrels enjoyed a good start against London Fields on Wednesday, with openers Sarafat Ali (44) and Richard Greenleft (18) looking in good form. However London Fields fought back with some fine bowling to bowl out the Scoundrels for 98. Tom Hughes (39) and Will Isaac (33) starred with the bat as the Fields won in the 13th over. Homerton chased down Broadway’s 119 on pitch 2. Opting to bat first, Ben Howard (39) and Friday O’Flaherty (28) looked in good shape for Broadway. However it wasn’t enough as Homerton chased down their target with over twelve balls to spare, Larry Hutchinson (52) and Sam Hickey (29no) top scoring. It was a fantastically tight match on pitch 3 between Sports Interactive and L&Q Living. Tom Laskowski (50) looked in super form as Sport Interactive, missing in form Tirath Singh finished on 123 in their 16 overs. 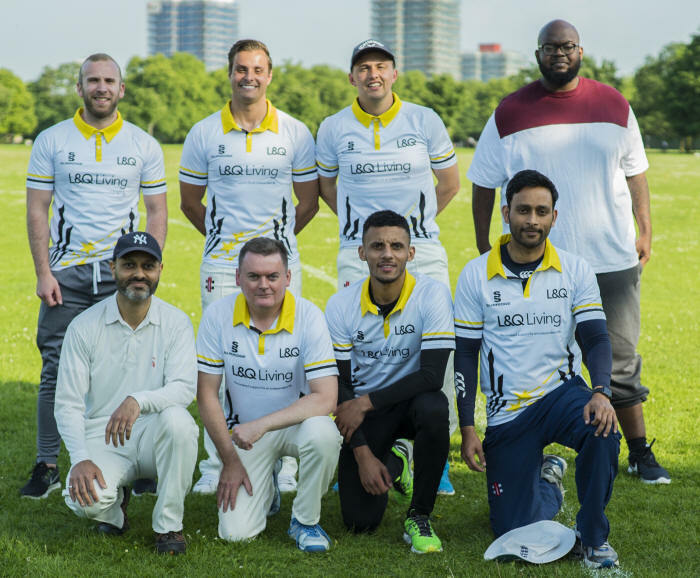 L&Q Living made a slow start, however a superb knock from Aleem Hussain (53) kept them in the match. Opener James Denman acted as the rock finishing unbeaten on 23 but it wasn’t quite enough, as they fell short with just 3 runs needed. Thursday saw an impressive win for Pacific over Victoria Lounge. Chasing 144 from VL, with scores from Riz Siddiqi (52) and Jim Crutcher (42). Pacific eased home in 13.2 overs - thanks for a superb opening partnership from Paul Rajkumar (51) and Justin Roy (39) with some late blasting from Roy’s nephew Alex (26 no). Camel Lights looked dominant against Mad Marrocas. Batting first Camels hitting a good ten an over but were bowled out for 143 in 13.4 overs. Thanks to an impressive innings from Rich Hagen who returned to the crease and finished on 62. MM’s reply fell 50 runs short as they were bowled out for 93 Tobias Phibbs top scoring with 48 putting on a superb partnership of 70 with Ed Price (23). Away from the league Sky played their second match of the week as the cup quarter final against Masiha. Batting first Masiha looked strong thanks to superb hitting from Rahil (45). But Sky, as confident as ever eased to victory in 14.2 overs, Safraz Ahmed striking 47 alongside some huge sixes from Hodane Bryce (31).